In 2007, Hungary was one of the first countries to join the UN Convention on the Rights of Persons with Disabilities, with the primary purpose to ensure the rights of persons with disabilities, to promote equal opportunities and their active participation in society by encouraging autonomy, independent living and equal access to work and mainstream services. 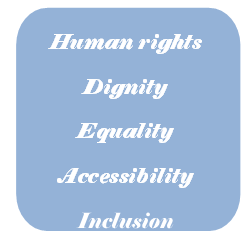 Article 19 of the Convention recognises the equal rights of persons with disabilities to life in the community and requires countries to make all efforts necessary to ensure that persons with disabilities may choose their place of residence and the people they intend to live together with. Governments shall also make every effort necessary in order to liberate people with disabilities from being obliged to live in a particular living arrangement. The Hungarian government has declared its intention in the acts on the equal rights of persons with disabilities and on social services and defined a long-term deinstitutionalisation plan for social institutions providing care for persons with disabilities. 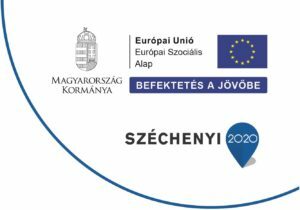 The Hungarian government is committed to close all institutions with more than 50 beds until 2036, in accordance with EU objectives, and replace them with a more modern service provision system. People with disabilities currently living at large residential institutions will be Community. Additionally, substantial resources are also available for the first time for the purpose. This transition process is supported by our organisation’s Project TÁRS.